After the 4th of July- Target switches their seasonal aisle to Back-To-School... so it is time to start getting ready to send those kids back! 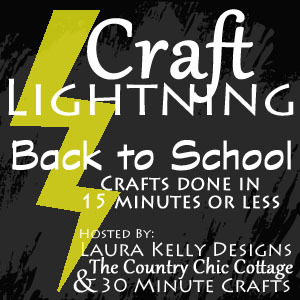 This month's Craft Lighting theme is Back-To-School! I pack a lunch for my kids everyday and I like to put a water bottle in it. I found these little water bottles in a 2 pack at the Dollar Store -two for a dollar- yay! 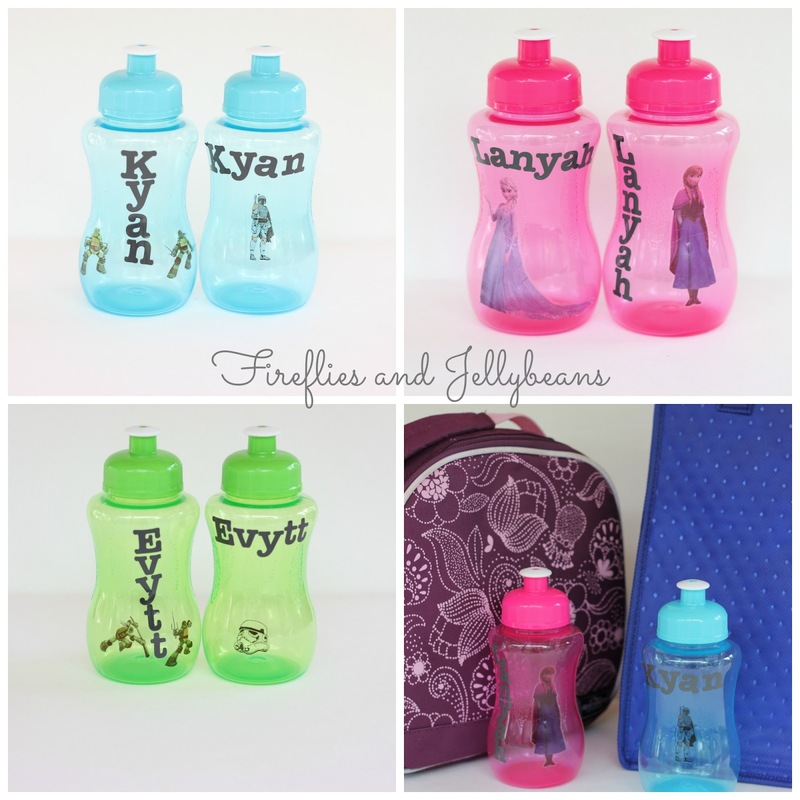 But I also know that my kids are forgetful and I would like there to be a chance they could get their water bottle back if they forgot it so I personalized it with their names and a favorite character! It is SUPER EASY! 2. Cut out your letters. I use my Silhouette Cameo. 3. 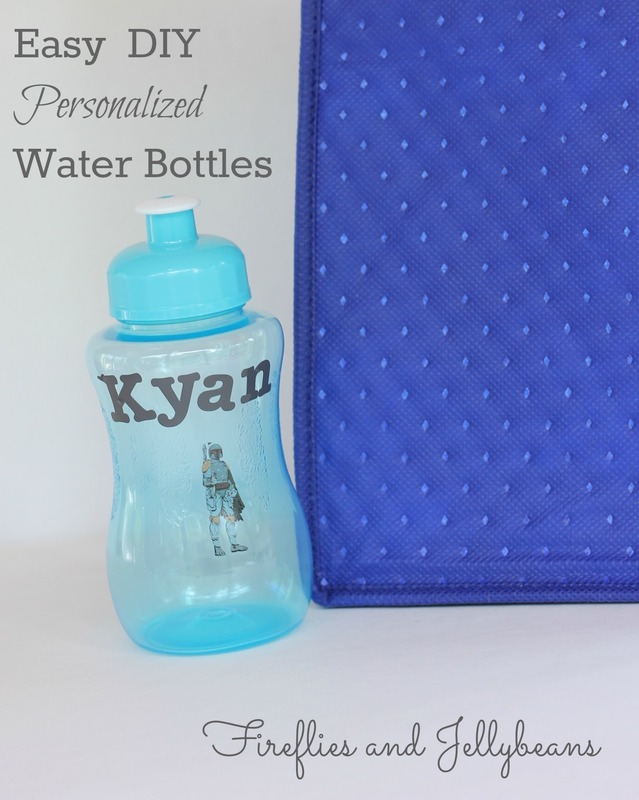 Place the letters on the water bottle. 5. Use a wet, warm paper towel to adhere the Tattoo to the water bottle. and you are done! 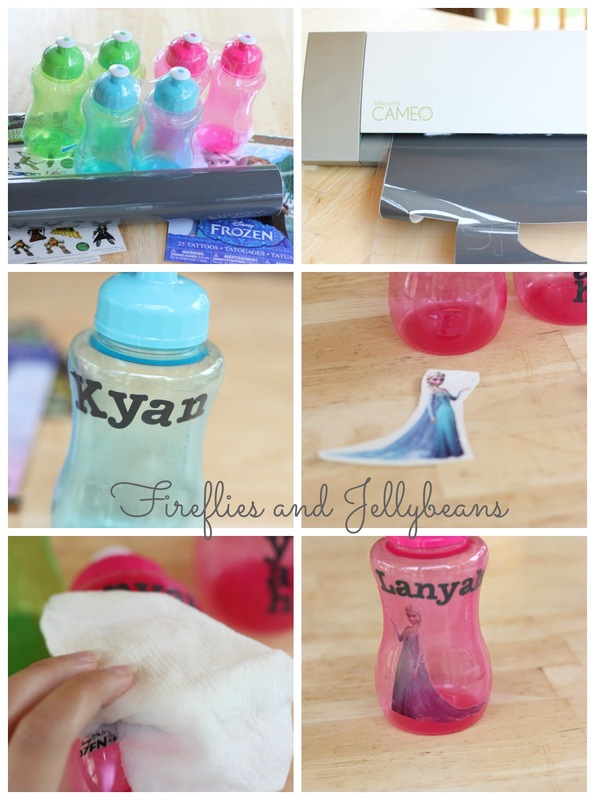 I got the water bottles and the temporary tattoos from the dollar store and I already had the vinyl form other projects. So, I was able to make these for $1 per bottle. The Tattoos totally stick to the water bottles! They will wash off in the dishwater though... which I am ok with. The letters stay on. I got a pack of 28+ Temporary Tattoos at the Dollar store and I just stick on a new one once I wash it. The kids like that it changes. I usually use a bottle for a week in their lunch bag and then wash it.